I’m feeling significantly more confident this week than I was last week. I tried 5 new champions and did at least okay with all of them. And no one said anything mean! One person even said something nice. I’m not sure if they were being sarcastic or not, but there’s no actual reason to think that other than my own insecurity, so I won’t. Fizz – I like him, but I was really excited for his shark ultimate, and it wasn’t as cool as I wanted it to be because of the delay. Orianna – I like her. 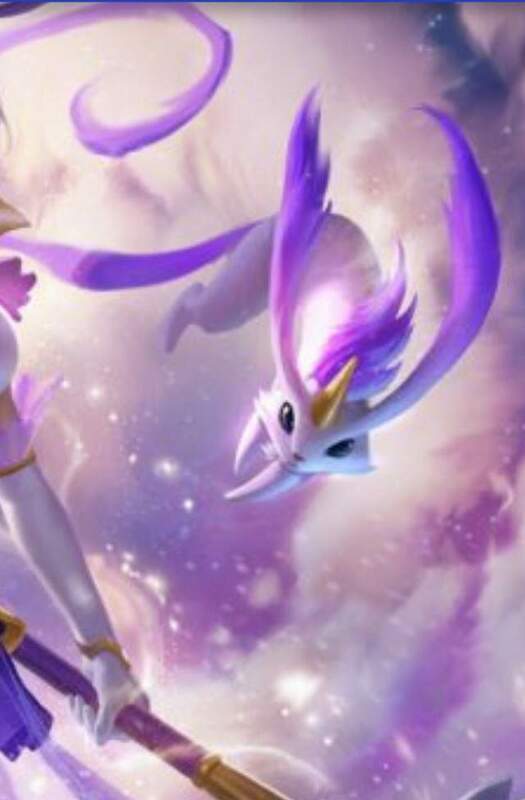 She reminds me a lot of Syndra. Her robot voice is a bit annoying and hard to understand though. Taric – I like him, although I’m still not 100% sure what all of his abilities do. He’s kind of hilarious. I almost wish that I had bought him instead of Janna. Riven – At first I really struggled with her but by mid-game I was liking her a lot more. However out of all the champions I tried she was the only one that I didn’t do very well with. She is hard to control…most of her abilities require no aiming, as if it’s on smart-cast (or at least I imagine that is what smart cast would be like), however you have to be careful that your cursor is in the exact right position. There’s something about her voice I really like. She just sounds so…innocent and hopeful? I like her name too. Would make a good baby name – easy to pronounce and looks like a common name but is a bit different. Not that I’m thinking about babies or anything. Also in one of my games someone was playing Lucian with his Heartseeker skin and every time the jazz music started playing I laughed. What a nice touch. Now I kind of want Lucian just so I can get that skin. My last game of the weekend was a PvP with Janna. and Janna’s Star Guardian (AKA Sailor Scout) skin was on sale, so I bought it. My first skin! It was basically $10…which is far more expensive than I thought these things would be, but I guess if you only buy one every once in a while it’s not a big deal. I played one PvP game with her just to try it out and I have to say that I like it a lot. It’s a bit blinding at times (kind of neon) but her W is a little cat unicorn thing!! It’s so cute!! I kept zooming in just to stare at it. So, worth the $10 I think. Every time I play with her from here on out I will be brought a tiny bit of joy. Also I was killing it that game UNTIL my internet was like “nope” and started lagging all over the place. So that was disappointing. Somehow we won even though our entire team was either dead or fighting the enemy team on our summoner platform. We had been at their summoner platform a few minutes earlier and I guess enough of our minions managed to survive that they were able to win the game for us. I was like ??? did not see that coming. So I successfully got back on the horse. This coming week I have like a full 24 hours or something like that to play so hopefully I can start hitting some of the objectives I haven’t had time for in ages (like jungle practice).